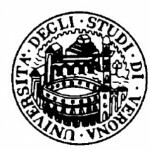 The Faculty of Law and the European Documentation Centre of the University of Verona will host on 20 March 2009 (14:30 h) a conference on maintenance obligations and successions: “Le nuove competenze comunitarie dello spazio giudiziario europeo: obbligazioni alimentari e successioni“ (New EC Competences in the European Judicial Area: Maintenance Obligations and Successions). Prof. Alberto Malatesta (University “Carlo Cattaneo” – LIUC of Castellanza): Relazione di sintesi. For further information and registration, see the conference’s webpage and the downloadable flier.